Just over a year ago I met Nachshon Goltz. Fast forward today and together we've built the world's most comprehensive global law search engine and implemented a new model for legal search. 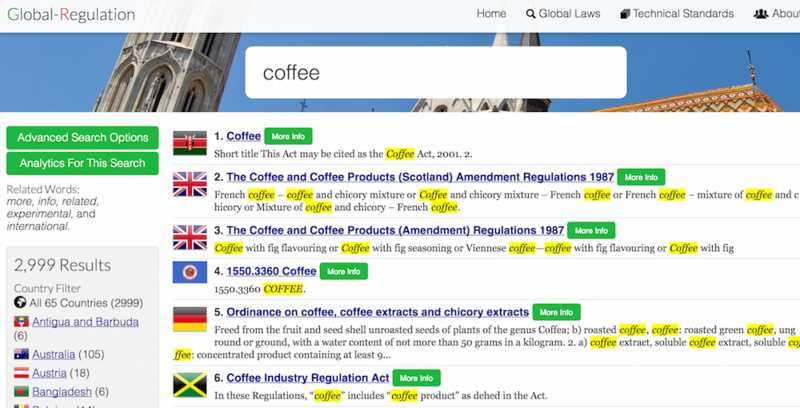 We run Global-Regulation.com, a law search engine that makes use of machine translation to make laws written in 25 languages searchable in English. Today we crossed the 1.5 million law mark. 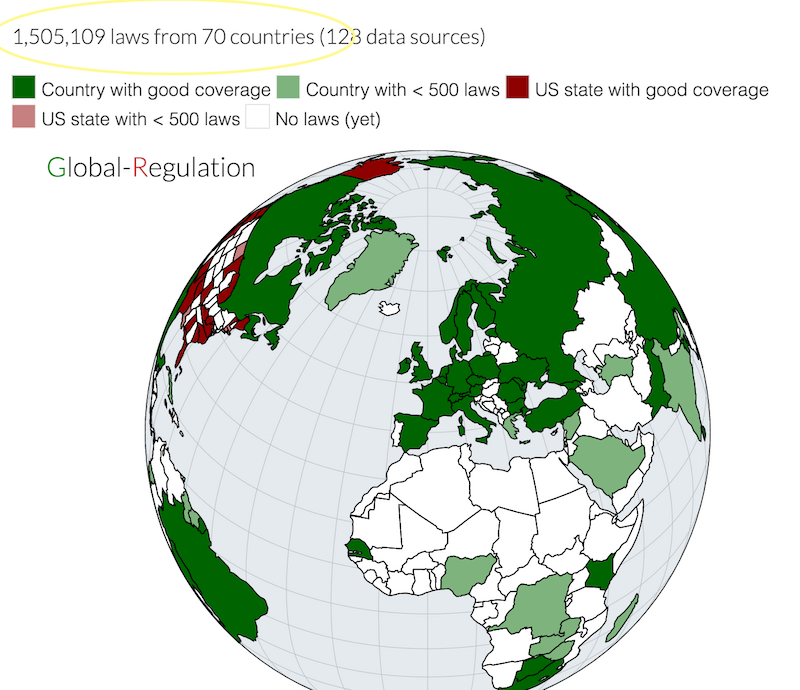 That's 1.5 million laws from 128 data sources and covering over 70 countries. Our subscribers include top schools like Oxford and Harvard, government agencies in Canada and the US Federal government, and a Big 4 accounting firm in the US. Global-Regulation.com has been generously supported by Microsoft, Google and Amazon through their startup programs (together, nearly a quarter million dollars of support). Without their help we wouldn't have been able to pay for the over $100k USD of machine translation that's gone into translating more than 740,000 laws. Their VM instances were (and are) essential for the massive amounts of processing necessary to index, download, convert from PDF, translate, etc. Being cloud-based from the beginning has been a huge advantage for us. Something I'm especially proud of: we've normalized and formatted the laws in our database. It's one thing to index laws but it's a magnitude harder to properly format the input and parse the meta data (we have a lot more than we display in the interface [for now]). Formatting is important for presenting translated laws that are useful (rather than just being searchable). We've had calls with most of the major legal publishers around the world. None of them has said they have anything like what we've built. And our system is fast: searches typically take less than a quarter of a second, which makes it easy to iterate on searches and browse through the world's legislation through search. Machine translation has opened up an entirely new world for our customers. At the AALL trade show in Chicago a couple months ago we heard from an academic who teaches a course on Brazilian law but they previously didn't have access to Brazilian law in English and most of their students didn't speak Portugese. Now they can look up Brazilian laws and read them. The translations aren't close to what a professional legal translator would produce but before the students had nothing and the translations are good enough to understand what the law is about. This is a change in the way that legal research is done. Here's my blog post from July, 2015 when I was thinking about building what would eventually become Global-Regulation.com: https://www.cameronhuff.com/blog/a-universal-law-service/index.html.